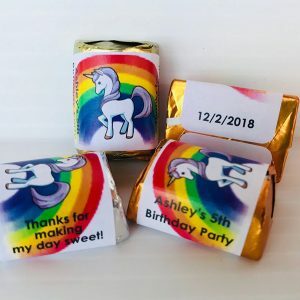 120 PERSONALIZED Unicorn Rainbow Candy WRAPPERS/LABELS for Child’s Birthday Party that fit your Hershey Nugget Chocolates. 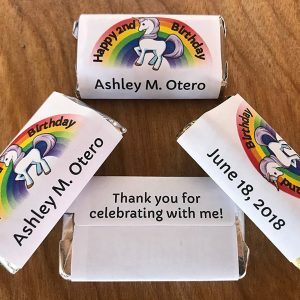 Great favor idea. 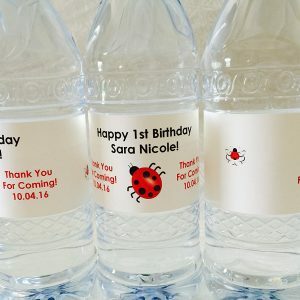 20 Personalized Ladybug Themed Waterproof Water Bottle Labels/Stickers for KIDS BIRTHDAY Party – Make adorable favors. 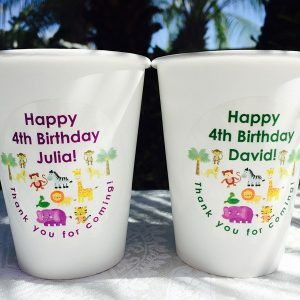 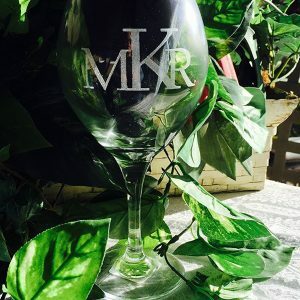 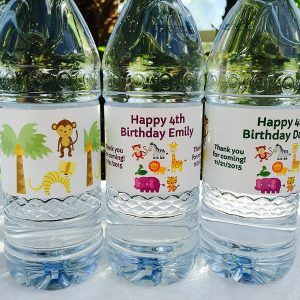 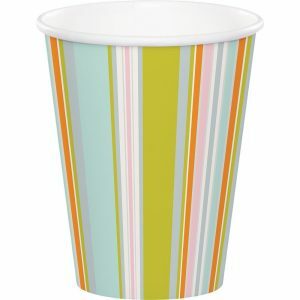 20 Personalized SAFARI Themed Waterproof Water Bottle Labels/Stickers for GIRL OR BOY BIRTHDAY Party – Make adorable favors! 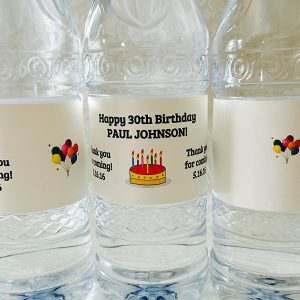 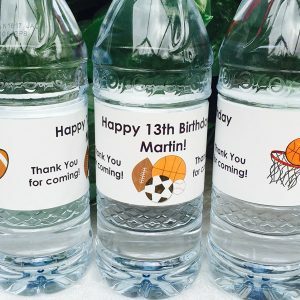 20 Personalized SPORTS Themed Waterproof Water Bottle Labels/Stickers for Boy’s BIRTHDAY Party. 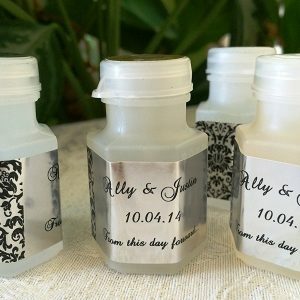 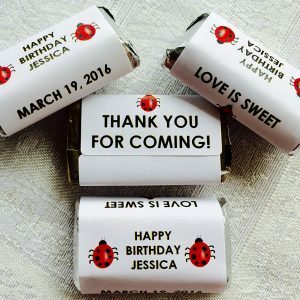 Make adorable favors. 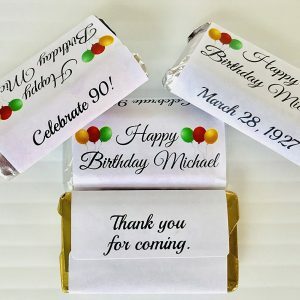 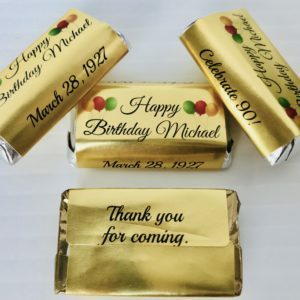 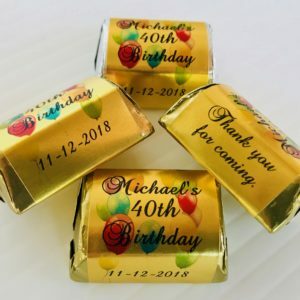 72 Birthday Personalized Adhesive wrappers for your HERSHEY MINIATURES. 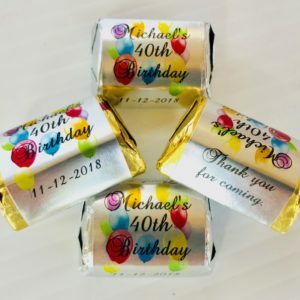 Make your own Party Chocolate Favors. 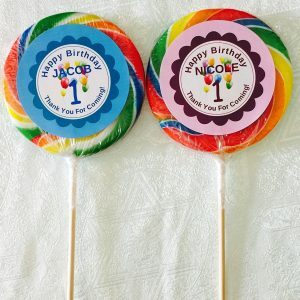 Balloon Themed. 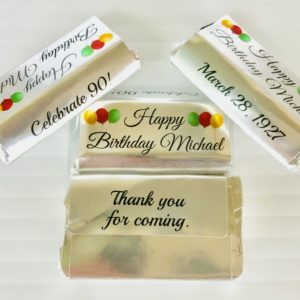 72 Silver Foil Birthday Personalized Candy adhesive wrappers for your HERSHEY MINIATURES to Make your own Party Chocolate Favors. 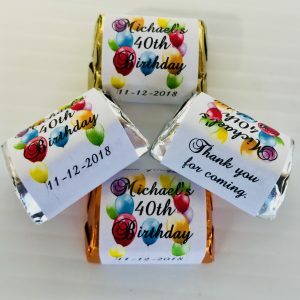 Balloon Design. 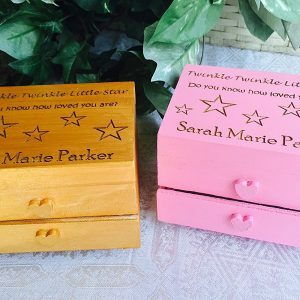 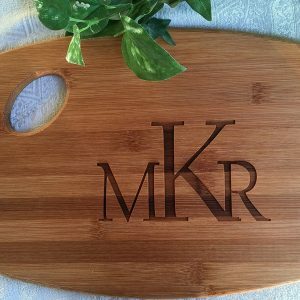 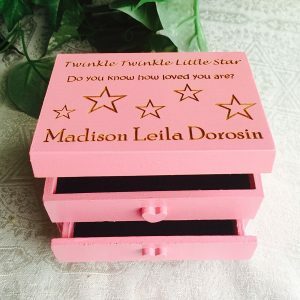 Personalized Wood Etched Trinket / Jewelry Box. 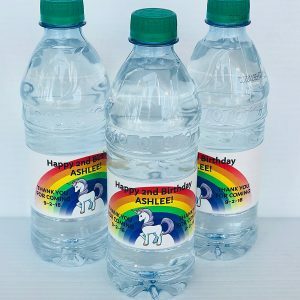 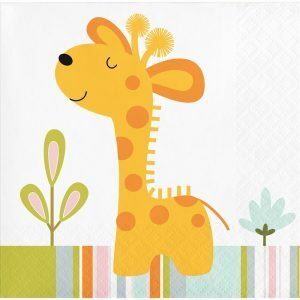 Gift for child’s birthday/baby shower. 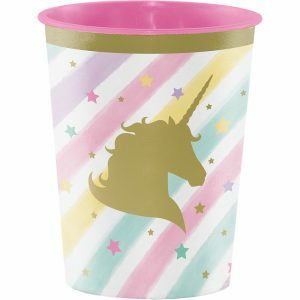 Pick color.